One press of your personal help button and your Northwell On Call medical alert system will connect you with help any time of day or night. 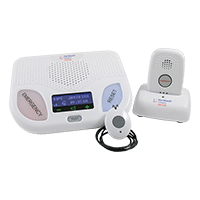 Choose the medical alert system that best fits your needs and call us at 1-844-633-9240. No landline, cell phone, or WiFi required! 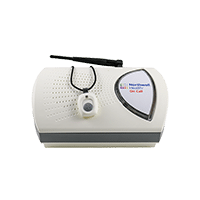 The Northwell On Call Home Medical Alert System does not require a phone line in your home. Simply plug it into a standard 120v power outlet in your home and turn it on. One press of your waterproof help button connects you by 2-way voice with a highly trained Northwell On Call emergency operator. Landline version available - As low as $24.95/month with annual plan. This is our most popular medical alert system. Whether you're at home or on the go, one press of your help button will notify Northwell On Call of your location and connect you by 2-Way Voice with a highly trained emergency dispatcher. As low as $36.95/month with annual plan.